Combining and consolidating existing rules into a single prohibition against false and misleading communications (including standards governing firm names and designations). 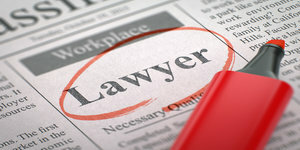 Changing provisions that now call for publication of a lawyer’s “office address” to instead call for “contact information,” to recognize “technological advances” as to how a lawyer can be contacted. Permitting lawyers to give “nominal thank you gifts” to those who refer clients. Eliminate the labeling requirement (“ADVERTISEMENT”) for targeted mailings, but prohibit such mailings that are misleading, involve coercion, duress or harassment. The committee has circulated its proposals to state bar associations, the Conference of Chief Justices, the National Organization of Bar Counsel, and the Association of Professional Responsibility Lawyers. It will accept public comment at the ABA midyear meeting in Vancouver in February 2018, and then publish final proposals in spring 2018. Ultimately, the committee hopes to put the proposals up for a vote at the ABA House of Delegates meeting in August 2018. In my view, the answer to all of these questions is “no.” As APRL, other state bar associations, and now the ABA have begun to recognize, lawyer-advertising regulations should simply ensure that lawyers don’t deceive or coerce prospective clients. Those laudable goals are best accomplished with simple rules prohibiting false and misleading communications, and prohibiting in-person solicitation. For that reason, the labyrinthine regulations contained in the current Louisiana rules should be reworked.